He doesn’t dance, but for her, he dances. On my recent visit to mom’s house, I played this song for her and with a soft place in my heart explaining how it reminded me of her and dad. We miss him so much, and there’s rarely a song that goes by in country music that doesn’t make me think of Dad…especially ‘I Don’t Dance’ by Lee Brice. As wonderful as my father was to all of us, all of our lives, I can safely say, my dad was not a dancer. Never once had I seen my dad on a dance floor…not even at my wedding…it wasn’t his style, but I was OK with that, because he was a first class father to me..the best a girl could ask for. Mom and dad were ‘snowbirds’ and spent their winters south. The beautiful community they stayed in often had dances and gatherings for special occasions, and with a smile on her face mom informed me that Dad would get up with his walker and dance. I almost fell off the chair when she told me that! Picturing my dad, swaying and moving around with his walker …dancing…. is now forever imprinted in my mind. It brings me peace to think of him this way. So, even though Lee Brice wrote this song for his wedding, it’s a song that easily applies to any man, who because of his love for his woman, ‘will do anything for her’. Lee Brice isn’t aware of it, but the lyrics to several of his songs tell the story of our family’s life...here’s why I consider him an honorary member of our family. 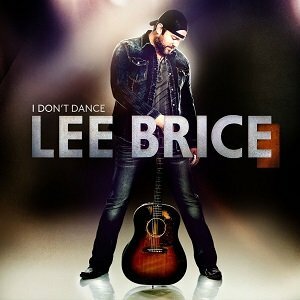 I Don’t Dance was released in February of 2014 and was part of Lee Brice’s third studio album that was released on September 9th, 2014. Lee was born June 10th, 1979 and has a growing successful career in country music today. He’s received numerous award nominations including two Grammy nominations for his hit song ‘I Drive Your Truck’. He gained his start in country music as a songwriter and many people may not know that he co-wrote Garth Brooks’ 2007 single, ‘More than a Memory‘. You can find more about Lee Brice on his Website, Facebook and Twitter.